Protest to the Norwegian government on decisions on wolf hunting in the wolf zone! On 17 December 2018, the Norwegian government announced that 1 of 3 wolfpacks in the so-called wolf zone may be shot. The hunt threatens 75% of Norwegian wolves, says Ingrid Lomelde, environmental policy leader in the Norwegian WWF. The wolf zone, which borders Dalarna and Värmland counties in Sweden, constitutes only 5% of Norway's land area and is a reserve for the Norwegian wolf tribe. 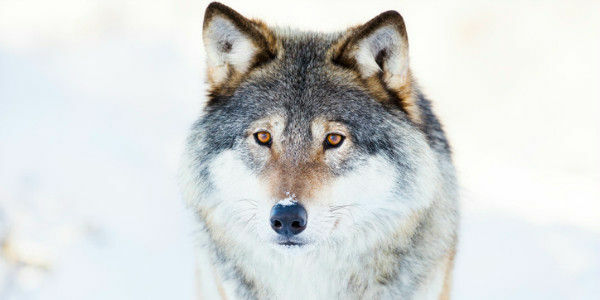 The zone is the only place in Norway where rejuvenation of wolves is allowed. Government policy also prohibits wolves from going outside this zone. On New Year's Day, January 1st, 2019, hunting wolves in the Norwegian wolf zone began for the first time since wolves came back to Norway in the 1990s. The fact that the Norwegian government now allows hunting entire packs of wolves in this very important and small area is a clear sign that Norway as a state does not take the protection of endangered species seriously. In addition to the hunt inside the wolf zone, hunting for 26 wolves started out of the zone began just before Christmas. In total, about 32 wolves will be shot in Norway this winter. "The Bern Convention on the Conservation of European Wildlife and Natural Habitats does not provide a legal basis for reducing the number of a threatened species for the sole reason that some people do not like the species," says Siri Martinsen, head of NOAH. Sweden and Norway (the whole of Scandinavia) share and are dependent on each other's wolves to maintain the conservation status of wolves, so now we have to join together to protest against the Norwegian government's decision and stand up for our endangered Scandinavian wolves. NOAH- for animal rights in Norway calls on international associations, organizations, companies, and other groups to jointly raise our voices to protect the wolves in Norway and let the Norwegian Parliament and the authorities know that their policies are unacceptable. Demonstrations and manifestations will be held on 12/1 2019, Revolution Rov will on that day hand over this collection of names. Protest till Norges regering om beslut om vargjakt inom vargzonen! Norska regeringen har den 17 december 2018 gett besked om att 1 av 3 vargflockar i den s.k vargzonen får skjutas. Samtliga 3-7 djur i Slettåsreviret, det revir Grimma, även kallad Södertörnsvargen vandrat ifrån innan hon kom till Stockholm (och fick sluta sina dagar i en skyddsjakt jan 2018) ska nu utplånas. Vargzonen som gränsar till Dalarna och Värmland, utgör bara 5% av Norges landyta och är en slags reservat för den norska vargstammen. Zonen är det enda ställe i Norge där föryngring av varg är tillåten (?!) och där vargstammen ska ligga på 40 - 60 vargar. Regeringspolitiken förbjuder även att vargar vandrar (?) utanför den här zonen. På nyårsdagen 1 jan 2019 inleds för första gången jakt på varg i den norska vargzonen. Det här är första gången det öppnas för jakt inne i vargzonen sedan vargen kom tillbaka till Norge på 1990-talet. Att norska regeringen nu tillåter jakt på en hel flock i detta, vad som måste betraktas som för den norska vargstammen, mycket viktiga lilla område är ett tydligt tecken på att Norge som stat inte tar skyddet av hotade arter på allvar. Förutom jakten inne i vargzonen inleddes strax före jul jakt på 26 vargar som vandrat ut ur zonen. Totalt får därför ca 32 vargar skjutas i Norge i vinter. – Bernkonventionen om bevarande av europeiska vilda djur och naturliga livsmiljöer ger ingen rättslig grund för att minska antalet för en hotad art av den enda anledningen att vissa människor inte gillar arten, säger Siri Martinsen, chef för NOAH. – Jakten hotar 75% av de helnorska vargarna, säger Ingrid Lomelde, miljöpolitisk ledare i norska WWF. Sverige och Norge (hela Skandinavien) delar och är beroende av varandras vargar för att bibehålla bevarandestatusen på varg, så nu måste vi gå ihop enade för att protestera mot norska regeringens beslut och stå upp för våra hotade skandinaviska vargar. NOAH- för djurs rättigheter i Norge uppmanar internationella föreningar, organisationer och sällskap att tillsammans höja våra röster för att skydda vargarna i Norge och låta norska parlamentet och myndigheterna veta att deras politik är oacceptabel. Demonstrationer och manifestationer kommer hållas den 12/1 2019, Revolution Rov kommer den dagen lämna över denna namninsamling. The government in Norway has recently decided to allow hunting one wolf family in the area designated for the protection of wolves. The hunt will start on 1 January. The Norwegian animal rights organisation NOAH has now requested the government to postpone the hunt until the decision has been tried in court. Siri Martinsen, head of NOAH: "There is no legal ground to shoot a wolf family that has caused no harm. The government decision is unlawful and in breach of the Bern Convention on the Conservation of European Wildlife and Natural Habitats. NOAH has therefore decided to challenge the legality of the decision in court and asked for a temporary injunction in case the government decides to go forth with the hunt". Siri Martinsen continues: "We hope that the government acts swiftly and puts on hold the hunt that is about to start in couple of days. The wolf family poses no danger and the animals should be left in peace." The wolf is critically endangered in Norway and strictly protected by law. The government decision is unprecedented, as it is the first time that a wolf family shall be killed in the protection zone. The decision concludes that there is no one particular interest or concern that can give grounds to kill the wolf family. Nonetheless, the government finds that killing the wolf family is still necessary due to the high level of conflict around the presence of the wolf family at the local level. And this despite the fact that research conducted in 2017 showed that the wolves' behaviour did not anyhow deviate from normal. Siri Martinsen: "There is a high threshold to kill the critically endangered wolves in the wolf zone. The decision lacks any rational arguments or documented data to support the conclusion to kill a whole wolf family. It is a poor attempt to satisfy those who wish to keep the wolf population in Norway as low as possible." The parliament in Norway has restricted the wolf zone to an area that covers only 5% of the territory of Norway. All wolves outside this zone are shot. There are around 70 wolves in Norway, another 40 wolves are found in the border area between Norway and Sweden. Due to the small size and isolation, the population suffers from heavy inbreeding which means that on average the wolves are almost as closely related as siblings. Siri Martinsen: "The government decision is another step towards gradual weakening of protection of wildlife in Norway. The majority of Norwegians do not align with this policy – they want the parliament and the authorities to take protection of wolves and wildlife seriously. NOAH is organising a demonstration for wolves on 12 January in front of the parliament. We hope that many will come and join us to stand up for the wolves." NOAH calls upon the international community to help protect wolves in Norway and let the Norwegian parliament and the authorities know that their policy is unacceptable. Please send letters to the parliament (postmottak@stortinget.no) and the Ministry of the Environment (postmottak@kld.dep.no) and join the demonstration on 12 January 2019 in your respective country.